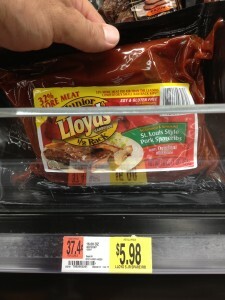 Lloyd’s ribs $3.98 after coupon at Walmart! There’s a new printable coupon for $2/1 Lloyd’s barbecue ribs. The half rack is just $3.98 after coupon at Walmart!